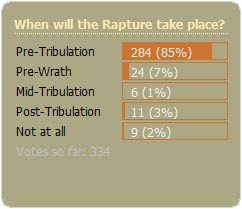 While the poll results indicate that we had a general consensus of support for the Pre-Tribulation Rapture from our perspective audience, it was encouraging for me to see that there are others with different viewpoints reading this blog. What I wasn’t prepared for was the many venomous emails from those who support the Post-Tribulation Rapture view. The emails may not have come from some or any of the 11 that voted in support of that view, and I’m sure a lot of the emails were generated from the “Christ in Prophecy” show End Time Viewpoints that aired during one of the weeks in August (see below). Never-the-less the source that incited the emails, I’ve never encountered a group so openly hostile to the Pre-Tribulation Rapture view. Some of the hot tempered emails carried accusations like “the Pre-Trib teachings are straight from the pits of hell,” “it’s a false teaching,” it’s “Prosperity Theology” and that “the Pre-Trib is satanically motivated.” For me personally, I “just don’t get it,” need to “wake up,” am “afraid,” and that my soul is “in jeopardy.” I literally will be responsible for “the death of the souls of untold numbers.” Wow, and I thought salvation had to do with accepting Jesus as Savior! Why the anger and hostility over one’s eschatological viewpoint? I’ll post my theories as to why I believe some so emphatically hold to the Post-Tribulation Rapture of the Church. One, they believe to have a Pre-Trib Rapture would give those who’ve been riding the fence a second chance at accepting Jesus as Savior. 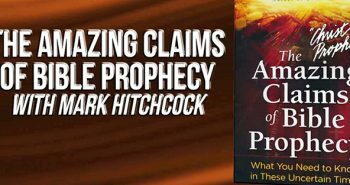 I have heard that repeatedly in a 7th Day Adventist prophecy conference and by the teachings of “Amazing Facts'” Doug Batchelor. It comes across as reminiscent of the “it’s not fair” argument kids so often accuse their parents of. And yet, Jesus told us in a story that the wage earner who arrives at the beginning of the shift gets the same payment as the one who arrived near the end of the shift. God isn’t always fair in human eyes. Second, I’ve heard their supporters say that Christians are apostate and evil, and only by enduring a form of “Protestant Purgatory” for 7 years will the Church cleanse itself and be ready for Jesus’ return. The end result of the close killing of the entire planet and billions of people being obliterated does little to purify if almost everyone is dead. Third, there is a certain nobleness to being a martyr for Christ; a chance some Post-Millennialists don’t want to lose. Even though we are saved by grace, for some they feel works must still be involved, and like some kind of jihadist these kamikaze Post-Tribulation Rapturists want to make the ultimate sacrifice to prove their mettle to God. I agree with Terry wholeheartedly in his saying that we do not doubt the salvation of those who hold to the Post-Tribulation Rapture view. But, the vehemence and anger in which some in that camp support their view is nothing short of satanic anger channeled to divide the Church and throw aside God’s promises to the Jewish people. Can’t we Christians just all get along? If you Google or Yahoo “Famous Rapture Watchers” you will discover that all Christian leaders for 18 centuries were deluded, vicious, and not guided by the Holy Spirit! Also Google “Pretrib Rapture Diehards,” “Pretrib Rapture Desperados,” “Thomas Ice (Bloopers),” “Wily Jeffrey,” “Revisers of Pretrib Rapture History,” “Letter from Mrs. Billy Graham,” “Pretrib Hypocrisy,” “Hal Lindsey’s Many Divorces,” and “Deceiving and Being Deceived” – all by the same evangelical historian whose research has been praised by those who don’t have an axe to grind either for or against pretrib (Google “Scholars Weigh My Research”). And, yes, he is a great patriot (Google “Dangerous Radicals of the Religious Right”)! I am a post-tribulation Christian who did not participate in your poll. There is NOTHING in ANY scripture or ANY Christian writing ANYWHERE whatsoever until a couple-hundred years ago which says that the GATHERING OR “rapture” of Christians would happen before Daniel’s seventieth week. God has not appointed us to wrath but wrath is not trouble. II Thessalonians 2:1-4 clarifies for the Thessalonians that the “rapture” gathering happens on the same “day” as the coming and that “that day” shall not come before the man of sin is revealed or the apostasy (falling away from the church’s faith and mission). I read the directions, and so should you. The day and hour only refer to the Jewish new year which had to be celebrated over two days plus one hour, because you could look up and see the moon to know if the new month had started — but it might be cloudy and you would not be able to see the moon — GUESS WHAT?? — Jesus told us that it would be total darkness before he came — we have to watch when this happens with the other signs. but Cain sacrificed fruit instead of what God told him to do, and Christians will continue to celebrate pagan Christmas instead of Rosh Hoshanna and communion which indicate Jesus’ return and our service to Him respectively. Anonymous, read the Why I Believe in a Pre-Tribulation Rapture series on this blog for where the Bible supports the Pre-Trib view. Prepare? Like what? Are you building bomb shelters? Hording food? Keeping an arsonal? Please share how you’re preparing for the Tribulation. Interestingly, the truth of Daniel’s 70 weeks is also relatively recent. I guess using your logic, that would also make it fallacious or questionable. Nathan, post a new series on the pre-trib rapture, giving your absolute best support from Scripture. I will show you why the pre-trib theory presumes way too much by eisegetically reading meaning into Scripture instead of proper exegetical and straight reading of the text. The pre-trib theory is an absolute impossibility. If you like, post one point at a time and expound upon it, and we can discuss it at length. Know what you mean. How often have you been to a blog where some posttribber has suggested that you Google or x-ray Margaret Macdonald? It’s often the same message with different names. They must be generated via one source and then a bunch of people visit blogs and post the comments. Believe it or not I didn’t notice the very first comment by Maria. Unbelievable! Yes I’ve seen exactly the same worded comment with different names many times on the blogosphere. If it’s not Maria it’s Flo or Todd or Irv. Hi guys. can anyone clarify on this? Apparently R H Gundry believes (or used to) in a two phase resurrection, according to one of my sources. I haven’t been able to verify that yet. Pretribs feel the the first resurrection is one type and the second resurrection is another type. Rev 20:4-6 occurs after the Lord has returned. Glen, for a detailed description of the resurrections, please read this article by Dr. Reagan – Resurrections and Judgments. Revelation 10:1,3a,7, "And I saw another mighty angel COME DOWN FROM HEAVEN, clothed with a cloud: and a rainbow [was] upon his head, and his face [was] as it were the sun, and his feet as pillars of fire … And cried with a LOUD VOICE, as [when] a lion roareth … in the days of the voice of the SEVENTH angel, when he shall begin to SOUND, the MYSTERY of God should be finished, as he hath declared to his servants the prophets." This is directly related to the most popular rapture passages in the entire Bible. 1 Thess 4:16, "For the Lord himself shall DESCEND FROM HEAVEN with a SHOUT, WITH THE VOICE OF THE ARCHANGEL, and with the TRUMP of God: and the dead in Christ shall rise first"
1 Cor 15:51-52 reads, “Behold, I shew you a MYSTERY; We shall not all sleep, but we shall all be changed, In a moment, in the twinkling of an eye, at the LAST TRUMP: for the TRUMPET shall SOUND, and the dead shall be raised incorruptible, and we shall be changed." 1. A "mighty angel" coming down from heaven, 2. Crying out with a loud voice, 3. The seventh and last trumpet begins to sound, 4. And the "mystery" of God is finished once the last trumpet begins to sound. 1. The Lord coming down from heaven with the voice of the Archangel, 2. With the trump of God, 3. The Mystery: At the last trump the dead are raised, and 4. At the last trump we will be changed in the twinkling of an eye. Revelation 20 shows us that this resurrection is POST-TRIB. Rev 20:4,5b reads "And I saw thrones, and they sat upon them, and judgment was given unto them: and [I saw] the souls of them that were beheaded for the witness of Jesus, and for the word of God, and which had not worshipped the beast, neither his image, neither had received [his] mark upon their foreheads, or in their hands; and they lived and reigned with Christ a thousand years… This [is] the first resurrection." We all know and agree that the dead in Christ rise first, THEN we who are alive and remain will be caught up with them (raptured). If the first resurrection is after the tribulation as Revelation 20 clearly states, then there is no resurrection before it, and if there is no resurrection before the tribulation then there is therefore no rapture before the tribulation. (Also, why would the text say those who are “alive and remain” if the rapture was pre-trib?) The only way for the pre-trib teaching to get around this dilemma is to separate the first resurrection into "phases", which is not supported in Scripture at all. In fact, due to the "phases" contention the pre-trib position is essentially stating that before the first resurrection is even fully completed that the rapture takes place, yet Scripture is clear that the dead in Christ rise FIRST, and THEN we who are alive and remain will be caught up. The rapture, therefore, is post-trib. Answer: That is a pretty weak argument in my opinion. The book of Revelation is an epistle, so it was written for the Church. As for the word “church” not being used after Revelation 3, keep in mind that the church isn’t mentioned in Mark, Luke, John, Galatians, Ephesians, 2 Peter, 1 John and 2 John either, and not until the 16th chapter of Romans, so I guess if Revelation doesn’t apply to the church because the word “church” isn’t used after 3:22 then using that logic a large portion of the entire New Testament doesn’t apply to the church either. The word “saint” or “saints” however is used 59 times in the New Testament, referring to believers in Christ (ie, the church). This term is used repeatedly in Revelation for the church as well. For instance, Christians are directly mentioned in Revelation 14:12, saying “Here is the patience of the saints: here [are] they that keep the commandments of God, and the FAITH OF JESUS”, and Revelation 20:4-5 says in no uncertain terms that those who do not worship the beast or receive the mark and are killed for “the witness of JESUS” and will rule and reign with Christ for a thousand years. We find the words "saints" and "tribulation" in Scripture, but show me one verse that speaks about "tribulation saints". It doesn't exist. Another point: The pre-trib teaching contends that "The tribulation is the wrath of God, and since we are not appointed to wrath (1 Thess 5:9), then the rapture must happen before the tribulation." 1 and 2. It is mentioned AFTER the cosmic signs and the revealing of Christ Jesus (Revelation 6:16-17). Jesus tells us in no uncertain terms that these cosmic signs happen immediately AFTER the tribulation (Matt 24:29). 3. It is found AFTER the SEVENTH trumpet (Revelation 11:18). 4. 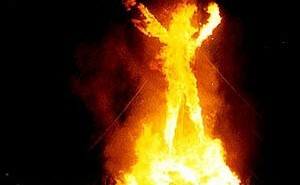 It is used to describe the final torment of unbelievers in hell (Revelation 14:10). 5. It is found AFTER the SEVENTH bowl (Revelation 16:19). 6. It is used in connection with Christ’s second coming (Revelation 19:15). Another point: The pre-trib teaching believes that “Revelation 3:10 promises to keep us from the hour of temptation, which means we are removed from the earth during the tribulation." The Greek “tereo” means “to attend to carefully; take care of; to guard; to reserve; to keep, ONE IN THE STATE IN WHICH HE IS” and does not mean to remove from the earth but to rather watch over DURING the time of testing. Jesus even prayed in John 17:15 “I pray not that thou shouldest take them out of the world”. Revelation 3:10 is saying that we will be kept from the hour of temptation by being watched over, guarded, during this time and not removed from it. The elect will be deceived if it were possible, but Christ will keep us from the evil of these deceptions during that time. The protection is spiritual, not physical. Many of us have children that attend public school, but we protect them or keep them from false teachings such as Darwinian evolution. How? We watch over them and keep them grounded in the Truth of Scripture, not by removing them from school. Many will die “for the witness of Jesus, and for the word of God” because they will not have “worshipped the beast, neither his image, neither had received [his] mark upon their foreheads, or in their hands.” The soul is more important than the body, and the Word of God in our hearts and minds will guard us during any time of testing. Notice the cosmic signs of the sun, moon and stars. Jesus says these signs occur immediately after the tribulation in Matthew 24:29. This is when He sends His angels to gather the elect, not before. Also notice the revealing of the Son of man coming in power and great glory immediately after the tribulation. What does Peter say regarding the revealing of His glory? 1 Pet 4:13, “But rejoice to the extent that you partake of Christ’s sufferings, that when His glory is revealed, you may also be glad with exceeding joy.” This would make little sense for a pre-trib rapture, which states that His coming is in secret. His glory is only revealed at His Second Coming immediately after the tribulation. Mitchell, I suspect you have a case of post-trib OCD. Regarding your claims about Rev 3:10, you know very well that pretribbers have responded time and time again to all your (and Grundy’s) assertions. Ironically, your point about people dying because they don’t worship the beast etc is tempered by the fact that you also limit his global reach. There is no rapture in Matt 24. 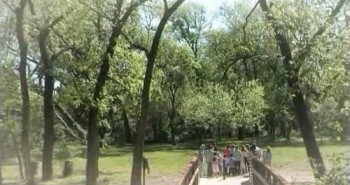 The gathering is Israel’s final regathering into the land. The disciples’ questions were all related to Israel with the church totally out of context. Why the Lord’s admonition about fleeing on the Sabbath? Your speculation of the cosmic signs is dependant on the seals being somewhat concurrent rather than chronological and this is a heavily debated point. But regardless of this, it has nothing to do with the rapture. Where is the antecedent to “when these things BEGIN to come to pass”? In Luke’s context this refers back to 21:20-24 which was the sign of the destruction of Jerusalem. Great article on posttribulationism by Dr Ron Bigalke. Hi Anon, I use to be pre-trib, and after many years of studying this topic, I now disagree as you can tell. The more I began to understand the post-trib position the more I began to understand how and why pre-trib arguments were very weak and relied on the removal of context and presupposition for so many verses. I would encourage everyone to study this topic for themselves and come to their own conclusion. Anonymous said, "Where is the antecedent to “when these things BEGIN to come to pass”? In Luke’s context this refers back to 21:20-24 which was the sign of the destruction of Jerusalem." That is one example of a pre-trib presupposition. 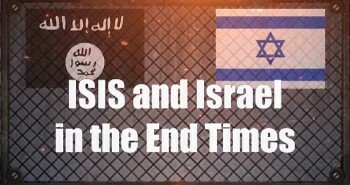 The statement of "when these things begin to come to pass" is after the description of the cosmic signs, which happen immediately after the tribulation, and the revealing of the Son of man coming in power and great glory. (cf. 1 Pet 4:13, "But rejoice, inasmuch as ye are partakers of Christ's sufferings; that, WHEN HIS GLORY SHALL BE REVEALED, ye may be glad also with exceeding joy.") I believe that we must allow Scripture to interpret Scripture, and not allow an interpretation of Scripture to interpret Scripture. The only reason why some will focus on "begin" and believe that it is not referring to all the signs given is because the pre-trib presupposition is eisegetically read into the text. Hermeneutically, I view this as very problematic with the whole of Scripture. There's a million more but after folks study the pre-trib arguments they can read a few post-trib arguments as well. Good study folks! Folk's, all I can say is that a familiar spirit is behind any other view then pre tribulation! How saved do you have to be? Are you saying that Jesus was not able to do it all at the Cross?! Do you actually think that some how you can escape these evil spirits that will be given free range during that time? Do you think that your 308's 06's and 44's will keep you and love ones out of reach? What about "Chloros" a word mentioned 4 times in the new testament as the word for "green" and maybe the Pale Horse might mean death! Green, Pale, death as the nation of Is – lam's favorite color! Yes Christians, we will be out of here SOON! I record your show. I love the last show! I want to blog with you guys. Would you mind showing me how to do it. God certainly is fair. A common post-trib argument is that the church in the past has suffered tribulation, and therefore it would not be fair for the last generation of the church to escape tribulation. I am of the pre-trib persuasion. And yet I too think God is fair. In fact, I think the pre-trib scenario is more fair, far more fair than the post-trib scenario. Would you like to follow the logic for a moment in order to understand the pre-trib perspective? This logic follows four steps. First, the last generation of the church does not escape tribulation. Like past generations, we now suffer tribulation. In fact, more current-generation Christians are being killed for Christ than past generation Christians. We do not escape that tribulation. That is fair. Second, the phrase "the hour of temptation" in Revelation 3:10 designates a certain period of time in such a way that sets it apart from other periods of time. Why does this hour get its own designation? Why set this hour apart from other hours? This designation shows a difference between this hour and other hours. In light of that designation, therefore, think again about what is fair. Will the last generation church go through a unique time of testing that no other generation of the church has ever encountered before? Would that be fair? Third, the phrase "because thou hast kept the word of my patience" in Revelation 3:10 forms the foundation for God's fairness. Because we have already been tested, and because we have already proved patience in that testing, God promises "I also will keep thee from the hour of temptation, which shall come upon all the world, to try them that dwell upon the earth." Passing the test in the past exempts us from further unnecessary testing in the future. That is fair. Fourth, God has a higher purpose for the church during the future tribulation, a much higher purpose than more tribulation on earth offers. If you believe, as I do, that the twenty-four elders represent the church in heaven, then you find in them our purpose during that hour. They appear four times in the book of Revelation at critical junctures. Study their prayers for God's glory and honor, their responses of praise for God's actions, and think about their active participation in the interactions between heaven and earth. The twenty-four elders – that's you! The victory crowns they wear, you will wear! Who else wears that kind of crown but the church? This takes the question beyond what is fair. The question now becomes, what is your true role in the tribulation? Is it more testing and more tribulation? Remember, that purpose will have already been fulfilled according to Revelation 3:10. Neither is our purpose merely to escape tribulation. Far better, past tribulation has been preparing us for our next role, a higher role, the role represented by the twenty-four elders.